Although he has appeared in over 600 comic issues, some will likely remember Alec Holland from the unforgettable (some wish they could!) 1982 film Swamp Thing. 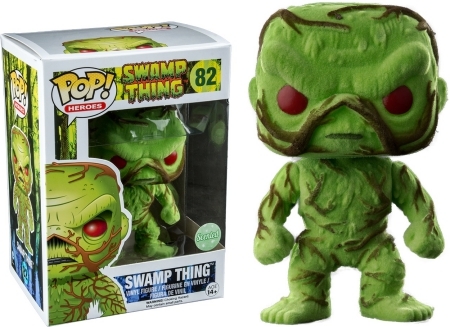 However, the Funko Pop Swamp Thing figures deliver a less intimidating version for fans. The main vinyl features the bog monster with large red eyes and brown vines wrapped around his body. Shop for Pop Swamp Thing Figures on Amazon. Additionally, the lineup includes a flocked Swamp Thing, as well as the scented and flocked Swamp Thing figure available during the 2016 San Diego Comic-Con (SDCC). Collectors should note that 8,000 scented variants were produced for SDCC, but the packaging only has a "Scented" sticker instead of a traditional SDCC exclusive sticker. Fans can also find a glow-in-the-dark Swamp Thing. 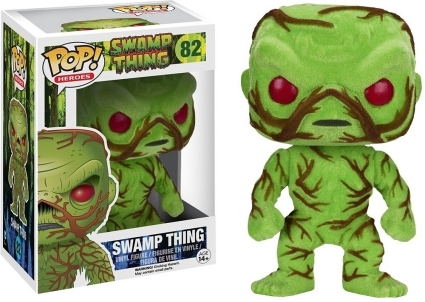 At this point, every Funko Pop Swamp Thing figure is issued exclusively through PX Previews, including the scented flocked variant. 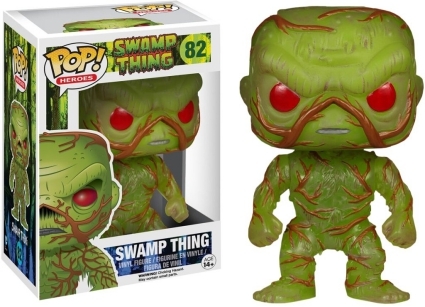 Funko Pop Swamp Thing Previews Exclusive!!! 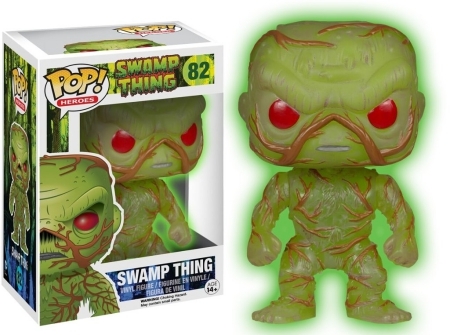 Funko POP Previews Exclusive PX Swamp Thing Glow in the Dark w Pop Protector!